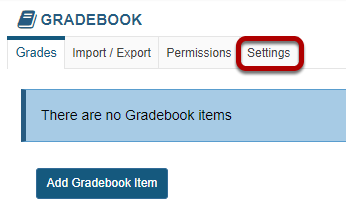 Sakai Community DocumentationSakai 19 User Guide (English) GradebookHow do I set up a simple points-based Gradebook? Assign points for every item based on their value towards the final grade (in our scenario they are all equal at 100 points). 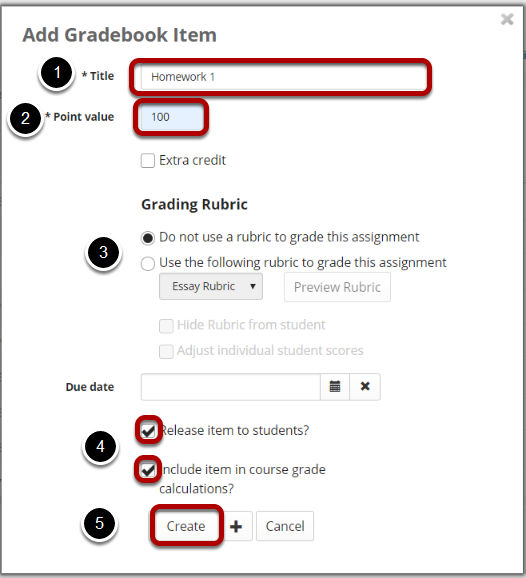 Attach a rubric if you will be using one. 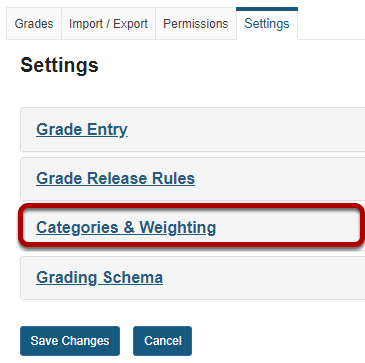 Be sure to check the boxes next to Release item to students? 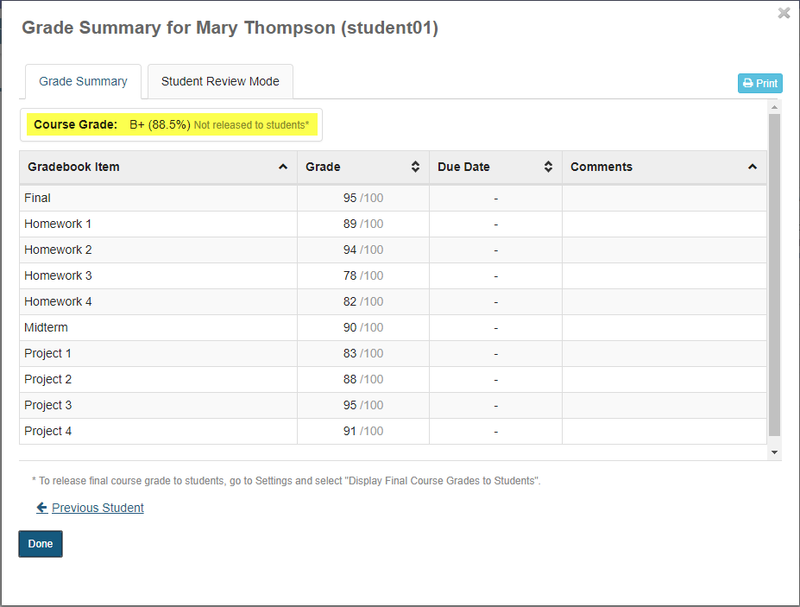 and Include item in course grade calculations? for each item as needed.